Which is the best car to beat the Congestion Charge? There are something like 60 major options to choose from if you’re looking for a conventional new car that can avoid the London Congestion Charge in 2011. That’s counting UK models of car and their significant trim levels, and not counting electric cars like the upcoming Nissan Leaf or the already-here Mitsubishi i-Miev. I’ve assessed the single Audi A3 edition that wriggles under the required 100g/km limbo-pole to qualify for the new greener vehicle discount, as well as ten different Fiat 500s, a brace of Citroens, four Vauxhall Corsas, nine Volvos, a pair of Minis, plus assorted Fiats, Seats, Lexii, Toyotas, Fords, Skodas and Smarts. Which is the best 2011 fossil-fuelled car to buy that’s congestion-charge exempt? Well, the answer depends on your requirements. But by way of assistance, I’ve combed through the data to find the best cars according to some of the most significant decision-making factors. 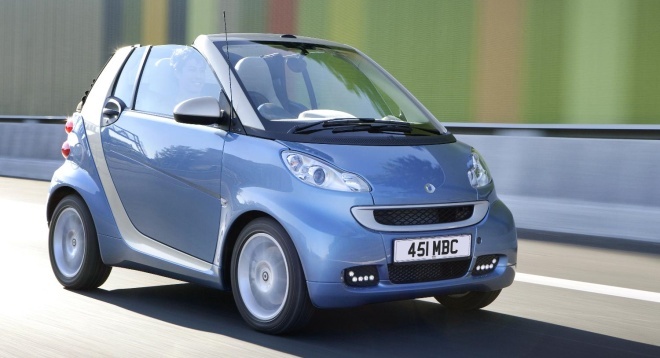 If you’re looking for the lowest possible CO2 rating, go for the Smart ForTwo Pulse in tin-top or cabrio format. The 54bhp diesel model emits just 86g/km. Or, if you don’t like the thought of pumping out microscopic motes of soot, plump for one of the two petrol-powered Toyota hybrid models that emit just 89g/km but without particulates, the Auris T4 HSD (with 15-inch wheels) or the popular Prius T3. If a shortness of cash is your major issue, consider the Smart ForTwo coupe in Pulse trim. Specified with the 71bhp, micro hybrid drive petrol engine, it starts from £8,780 before options. The base Toyota iQ costs from just £10,229, while the Fiat 500 TwinAir Pop is £10,665 if ordered in poverty spec. You might also plump for the £14,080 Vauxhall Corsa S EcoFlex, which will keep you away from pricey franchised dealers with its 20,000-mile service interval. Conversely, if you need to reduce your awkwardly large cash mountain, the Lexus CT 200h SE-L Premier will certainly help. It is reassuringly expensive at £29,997 and demands a dealer wash and brush up every 10,000 miles. Interestingly, the Smart MHD is the lightest congestion-exempt car at 750kg, while the CT 200h is the lardiest, at 1465kg – almost twice as heavy. Stick with one of Smart’s ForTwo MHD models, or opt for the similarly petite Toyota iQ 1.0, if you’ve just passed your test. Both will be as cheap as possible to insure, falling into group 3 out of 50. Impatient? The Mini Cooper D hatchback is for you. With a 122mph maximum speed coupled with a 9.7 seconds 0-62mph score, it’s the fastest and quickest accelerating car you can buy under 100g/km. Patient? You’ll need to be if you drive one of those low-emitting 86g/km Smart cars I mentioned at the start. They top out at 84mph and take 16.8 seconds to hit 62mph. That’s long enough to drum your fingers 32.7 times, by my calculations. Got a brood of screaming kids to carry plus assorted buggies and bikes? Head to your local Skoda dealer and inspect the Fabia GreenLine II estate. Its rear swallows 480 litres with the seats up or 1460 litres with the seats down. It will feel like you could fit an entire Toyota iQ back there, given that the little Japanese tot offers the most meagre luggage slot, holding a very slim 32 litres with the seats up, or 238 litres at full stretch. Are you a whiz at parallel parking? Show off your skills with the Volvo V50 estate, a full four and a half metres long and yet still CC-exempt. Or if your alloys always wind up as scuffed as a tramp’s toecaps, consider the dainty 2.7m Smart. If you’re serious about evading the congestion charge, you probably spend rather more time than you’d like crawling through the capital’s furred arteries. An automatic gearbox will feel like a must after the first fifty thousand traffic lights, in which case you may like to restrict your list to the Fiat 500 or 500C Dualogic, Lexus CT 200h, Smart ForTwo coupe or cabrio, Toyota Auris hybrid or Prius. None of the above have a third pedal. And finally, if you like the sun on your face and the wind in your hair (or, in London, diesel soot on your face and pigeon-poop in your hair) you have but two significant options. 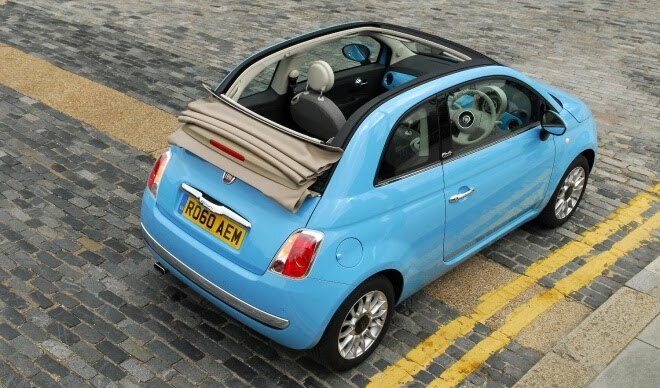 Both the Fiat 500C and the Smart ForTwo cabrio will offer a folding fabric roof and still get you across London without charge.